#1: Wash n' Go's Are NOT the Devil. I think anyone who doesn't make changes to their regimen is crazy. You don't have to go all product junkie crazy, but there are always new ingredients, formulations, and breakthroughs to try out - especially as you transition. One product may work fabulously for a certain amount of time, but then your new growth punks it into not working anymore. Or maybe you've decided to give up cones, and want to embrace more natural products. Whatever the rationale is, accept that your hair, along with your product preferences, will change. I thought As I Am Smoothing Gel was the best thing since sliced bread (it still is a great gel), until I met Obia Natural Hair Care Curl Enhancing Custard. I still don't see how I made it so many months without the Q-Redew. On the regimen side, I found myself trying to extend the time between washes, for the sake of minimizing breakage and shedding. What a bust. For about 10 or 11 months, that worked alright. But I eventually realized that I ended up spending more time detangling than I needed to, if I had just washed my hair mid-week instead of willing it to wait. The bottom line here is, be open to change. When transitioners think of multiple textures, it is often in the dichotomy of relaxed and natural, or heat damaged and natural. This frame of mind is totally fine within the first 7 - 9 months of transitioning. After that, it's time to think big picture. You're not going to have damaged/relaxed hair forever, so in the later stages of your transition, it would behoove you to begin understanding exactly what textures and types of curl patterns you have going on. This does not mean you have to step into the typing system, unless you want to. All it really requires is a fundamental understanding of your texture(s). If you're blessed enough to have one uniform texture across your head, then you can skip this step. But for us multi-textured folks, this is especially critical for handling, detangling, styling and more. For example, here's a regional breakdown of my hair. Front/Center: Highly textured with deep waves, and incredibly shrinkage-prone. Breakage will happen. Accept it. No matter how gentle you are, no matter how long you take to detangle, no matter how carefully you unravel your twists, breakage will occur. Now, some breakage is preventable - and caused largely due to carelessness, rushing, rough handling, and sticking with methods and products that don't work for your hair. But there will be *some* breakage, and there is nothing you can do about it unless you choose to live in a bubble in the dark and never, ever touch your hair. Click here for some of my tested and true gentle hair handling techniques to prevent breakage. I'm the queen of the discount, especially when it comes to two things: hair products and workout clothes. I NEVER EVER pay full price for either. I live by the mantra of the 3 C's: Coupon, (price) Cut, and Clearance. If it doesn't have a coupon, isn't on sale (and it needs to be a GOOD sale), or on clearance, I better have a DARN good rationale for needing it. I say all that to say, I hate spending more than $12 on a hair product. BUT - one thing this small business spotlight has taught me is that sometimes spending the extra money is worth it. For example, my transitioning go-to-where-have-you-been-all-my-life wash n' go curl definers (Obia Curl Enhancing Custard and Soultanicals Curl Blaze Hair Glaze) are $15 and $13, respectively. I'll shell out that dough, because the products do what they say they'll do with no fuss, and the ingredients are top of the toppiest of notch. On the other side of that coin, there are the products that cost an arm, leg, first and last month's rent to purchase but aren't worth their weight in product. For example, Miss Jessie's Super Sweetback Treatment. It costs about $50 for a 16oz jar and it just works...okay. Is it a good deep conditioner? Yes. Is it the best deep conditioner ever? No. Is it worth a tank of gas? Absolutely not. With that being said, practice ingredient discretion, and set boundaries for yourself. #6: Only Wash Your Hair When You Have the Time AND Energy. ...unless you want to lose your hair. More times than a few, I found myself in situations where I was short on time, energy, and/or patience, but my hair was chock full o' buildup and needed a wash. Let me be an example of what not to do. In an attempt to save my hair from being a disaster area, more than a few times I forged ahead with wash day even though I should have put it off. The end result: I always lost more hair, caused more breakage, and ended up with a shoddy style. When you're short on time, energy, or patience, rushing causes more harsh and forceful movements in everything from detangling, to cleansing, and styling. I also realized that my styles always sucked after a rushed wash day, because I would apply products and move through my hair so haphazardly. The lesson here: only deal with your hair when you have the time. A bun for an extra day or two won't kill you -- and will cause a lot less trauma than the alternative. When I first embarked on my natural hair journey aka no heat challenge, I had zero concern for a texture, some curls, or anything. I was really just about that life of getting my rapidly thinning, weak, and damaged hair back to health. Along the way, I began learning more about natural hair and eventually decided a full-out textured mane was my goal. Even though I was in pursuit of my curls, I still wanted to be able to rock straight hair sometimes (because straight hair was all I had known in my teenage and adult life). With the proper tools and safety precautions, I was able to cave in a little and show off straight hair every 3-4 months. The transitioning process can be a shock, and giving in to your desire for straight hair every once in a while can help give you what you need to forge ahead. I talked in more depth here about bandwagons transitioners should steer clear of, and that rings true now more than ever. Every few months, a new bandwagon, method, or natural hair "clique" pops up. I'm not saying there's anything wrong with any of them (theoretically), it's just that some practices/bandwagons aren't meant for ladies that are transitioning -- and the truth is, they can do more harm than good. Getting caught up in haircare trends can happen almost too easily if you're not careful -- especially when you're in that transitioning stage and soaking in natural hair information like a sponge. My best advice? Get yourself a great information filter. Learn how to distinguish between solid information and natural hair folklore. Whenever I see a picture of transitioning hair on social media, almost as if on cue, at least one comment brazenly suggests that "you need to go'n and just cut that off". Transitioning to natural hair is frustrating enough, even without all the additional chop commentary. Whether you're 2 weeks or 18 months into your transition, chop only when you're comfortable. The journey to natural hair is about you -- what you like, what you're comfortable with, and what makes you happy. Don't let anyone pressure you into anything you're not ready for yet. What lessons did you learn during your transition? 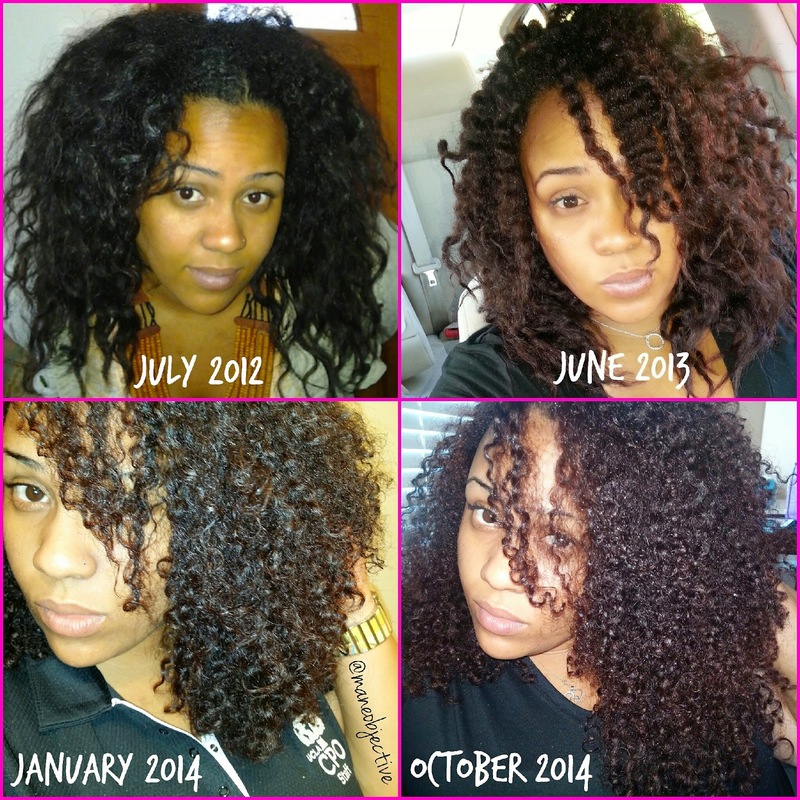 To learn more about my 21 month transition to natural hair, click here! Awesome article, great tips. 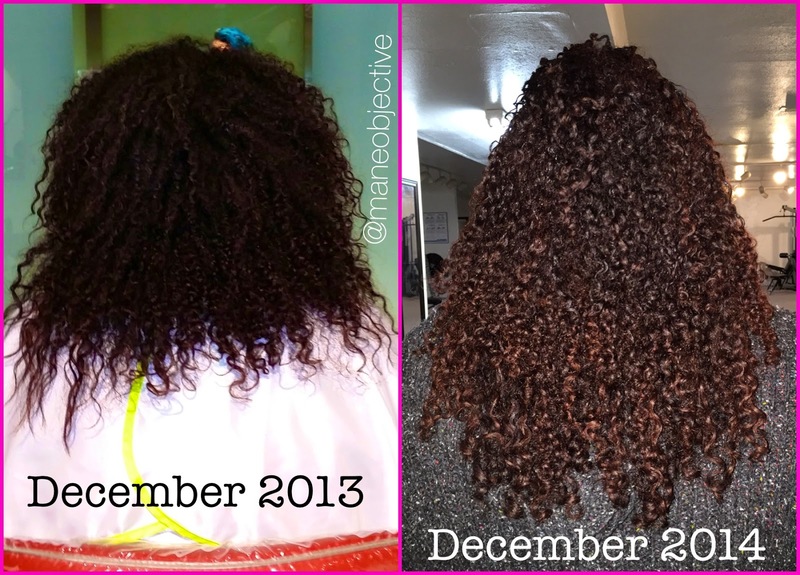 I'm amazed at the growth & overall health that your hair developed over the course of a few years. You give such inspiration & motivation to stick whatever hair rut one may be experiencing out because it is definitely light at the end of the tunnel. Thanks! Thank you so much TC!!!! I really appreciate it. That's why I share everything -- the good and the bad. My hair texture seems to be the same as yours except reversed for front and back in terms of detangling.